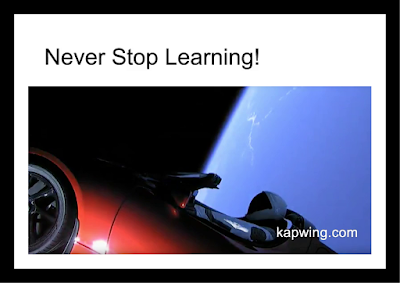 A great tool for educators is Kapwing. 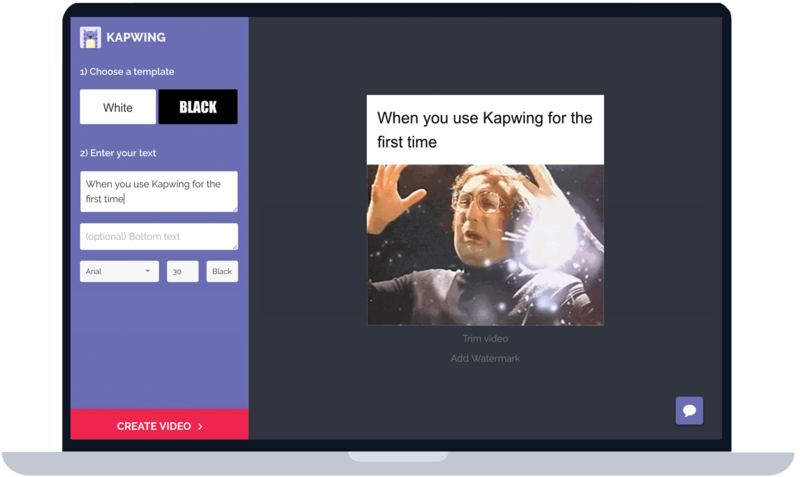 Among the different features that Kapwing offers - from adding sounds to videos to video collage, my favourite is the online video trimmer. You can choose the video you wish to use for lessons and cut out any additional advertising or inappropriate content. The video continues with advertising for Zoom (a video conferencing service) which perhaps you may not want to use in class. 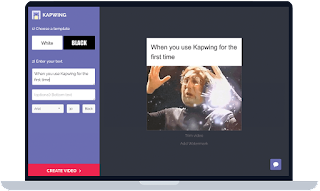 Kapwing is free and you can sign up with your Google or Facebook account. If you would like to have the watermark removed, then there is a small charge of $2, or if $10 per month for creating as many videos you like every month. What other video editing tools have you found useful lately? In many ways the digital world has brought teachers under increasing pressure - are they using the most up-to-date tools? Are they selecting the "best" digital tools for their lessons? Are they sufficiently "engaged" in all the Twitter chats, ongoing PDs, MOOCs, .reading the latest articles/blog posts on SAMR, TPACK, attending webinars.....and the list goes on. As someone who has taught students with access to desktops, laptops and iPads in the classroom, I have to admit that my first thought has always been my learners' needs - what will they learn with X digital tool? How will using it enhance their learning experience and what is the problem if X tool adds some fun as well (Kahoot is a well known example which adds fun element to a lesson.). At the same time, I give value to learners creating their own content, whether that be in digital or analogue forms (because sometimes as teachers we have little choice in the matter when preparing students for exams, for example). Another regular demand on teachers is feedback, whether that be grading or giving immediate feedback in a lesson. Teachers themselves often only receive feedback at the end of a semester or the academic year - and that is if the institution shares that feedback with the teachers. Being able to understand how well learners are progressing is part of the DNA code of being an educator and in every context educators will know how best to proceed. 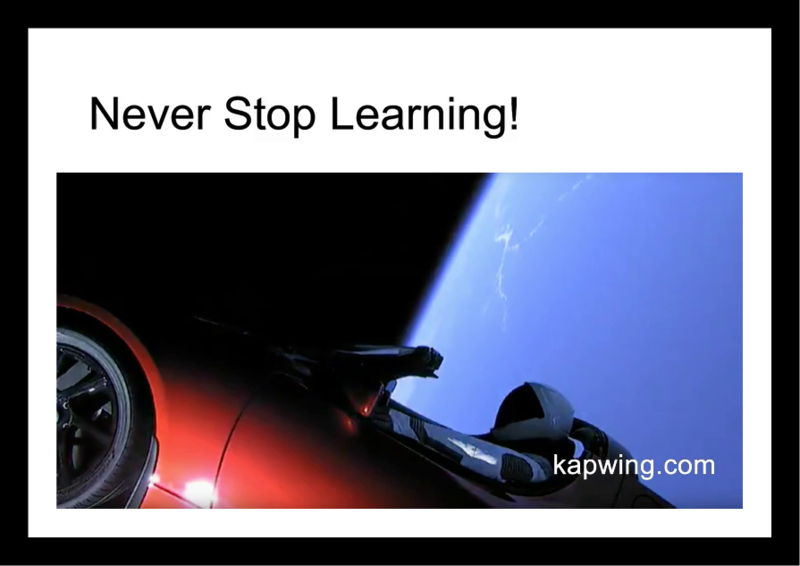 Yet, because I think that the digital world is also a world where learners should participate by creating content, why not give them the opportunity to give feedback with a visual artifact? A simple activity is for students to create their own feedback for a week or two by using Canva. Canva has a range of free visual designs which can be used. From designing infographics to book covers and cards, to name a few, there are designs which can also be used to give feedback. 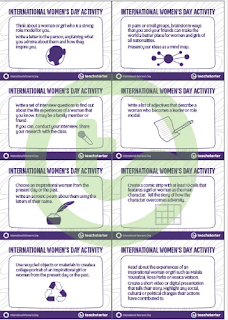 For example, learners can select the design of the card they like, use the given image or choose another and then write 2 or 3 short sentences on how they felt about lessons that particular week. 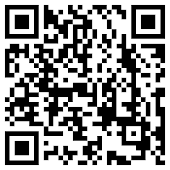 These cards can be shared in their Edmodo group or in a Padlet. When students know that their work will be seen by others and not only the teacher, needless to say, they pay a lot more attention to the task at hand. By asking students to provide their own feedback, instead of merely ticking boxes, also invites them to think more carefully about what is important to them and to be more engaged in the task. Thinking about what they want to say in their weekly/bi-weekly feedback, choosing their design and working on their feedback card may take some practice - but isn't that learning? Tamara Qaddoumi - Flowers Will Rot (Official Music Video) from Pablo Lozano on Vimeo. 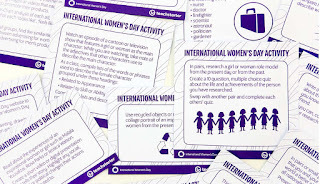 International Women's Day is being celebrated tomorrow, 8th March, the theme this year being Press for Progress. 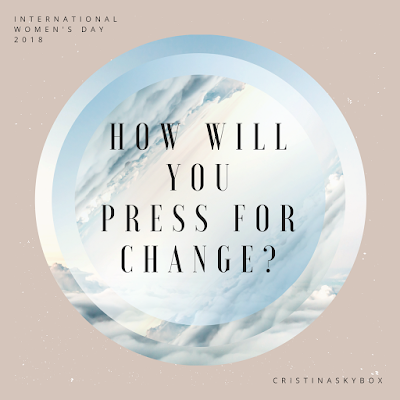 Pressing for progress, pressing for change, is vital for both women/girls and education. Education wise, it is still the curriculum which dictates the worksheets to be completed, the tests to be marked, the regurgitation to be endured (in between checking Snapchat or IG). Why not make tomorrow a different day, a day to remember? "Remixing may offer several solutions to struggling teachers in pressurised environments. In school, there is very little time for reflection or creativity. Much of classroom time is taken up with behaviour management, record keeping, delivery of content and assessment, and evenings and weekends consist of endless marking and preparation of teaching plans and resources. There is little time for teachers to create new activities and experiences for children, and often the same, tired resources are recycled year after year. The photocopier is the place where teachers gather every day to reproduce content time and again. 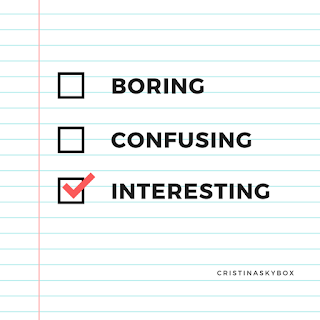 It's little wonder that some lessons are boring, students lose interest, and resources are less relevant and not as up to date than they should be. By 're-mixing' relevant content, teachers no longer have to 'reinvent the wheel', and gain more time to make new activities and exercises. In the hands of students, remixing can be a powerful motivation for learning. Textbooks and videos may not always excite students, but being able to extract content and personalise it for learning can be creative and gives students ownership. Further, remixing content allows students to extend and deepen their learning, allowing them to explore an extended context around the topic they are learning. Finally, sharing this new, remixed content among their peers and wider audiences through social media, can offer students incentive to raise their games and produce a higher quality performance. " 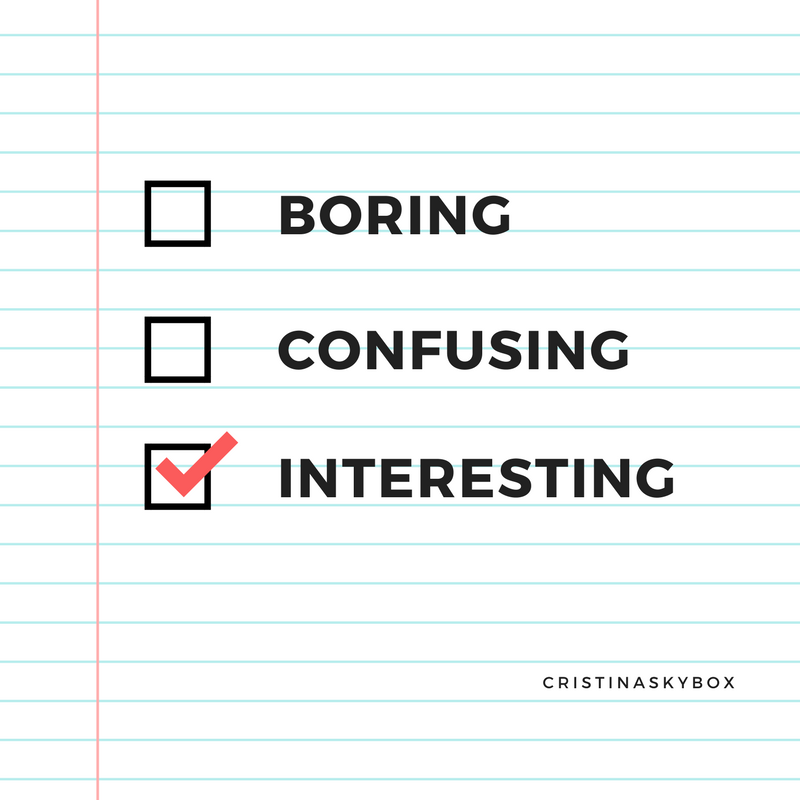 Learning and teaching contexts define what may be appropriate or not for a lesson; there are always so many factors to take into consideration (age group for instance as well as educational resources). However, it is simple to ask learners to discuss the role of women in their society and then to think about a woman who may be prominent in their society or history; or a contemporary female figure they respect and admire, who doesn't necessarily need to be a public figure. There are always role models in our lives, even if they are not public figures. 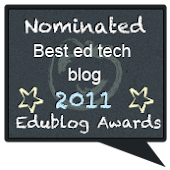 A compilation of learners' choices may be collected in a Padlet and shared. Learners would then present their choices and explain why they chose that person. 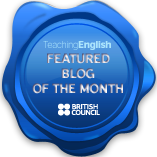 It's a simple way of focusing on adjectives, for instance, if in an ELT lesson (with the revision and introduction of adjectives carried out before they participate in the Padlet board). 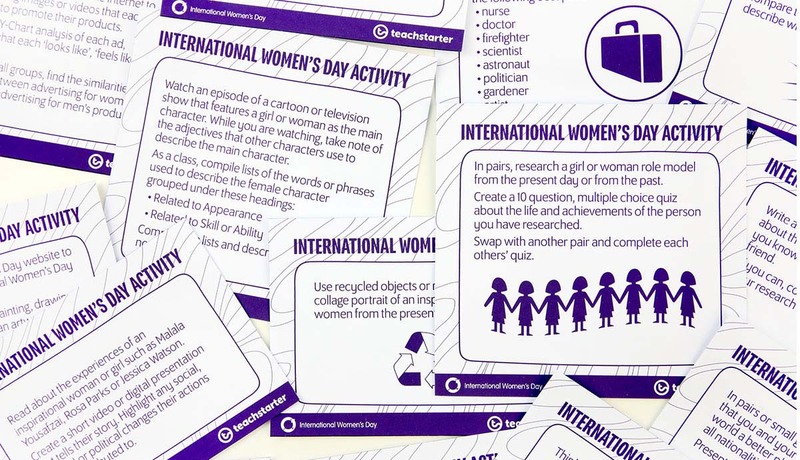 You can also try out International Women's Day Activity Task Cards from Teacher Starter, which offers a range of ideas and teaching resources (some free) for educators. 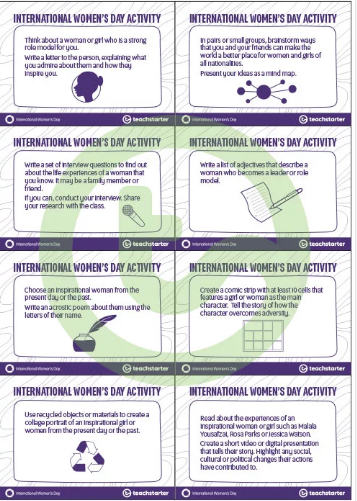 International Women's Day also has free resources for education, which can be used or remixed to suit different learning contexts. More than just creating a selfie or clicking on a pledge for change, let learners really reflect and consider what positive gender changes in attitude would mean for them - whether that be the right to choose what profession they would like to take up or how they would like to dress. Equal rights for women does not exclude men. Equal rights is for both. 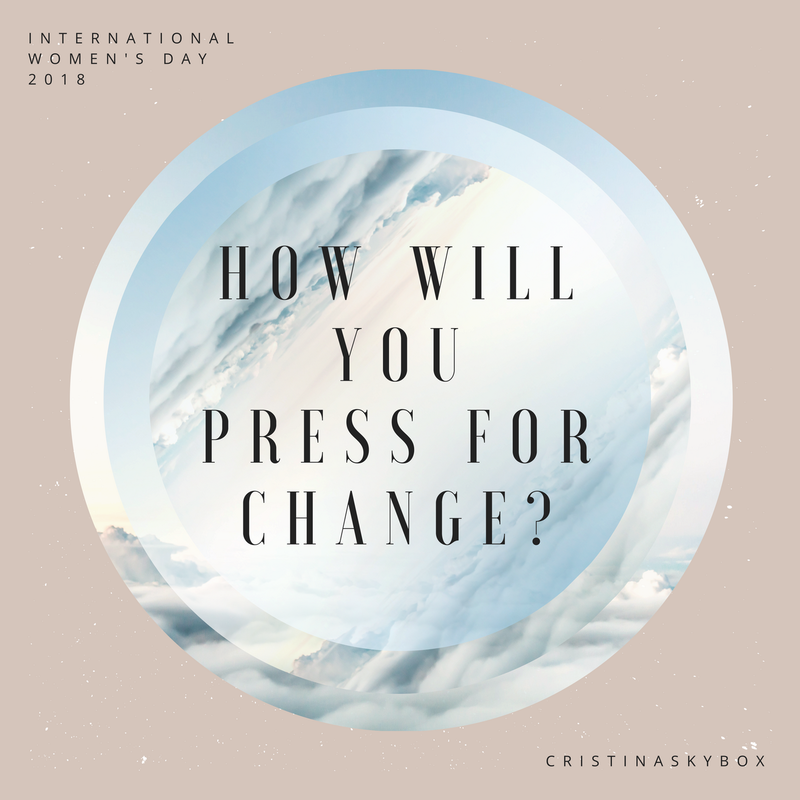 International Women's Day is an opportunity to get away from the photocopy machine, to give students ownership of a world which is theirs - letting them express how they can contribute to, by learning, reflecting and creating. Yet the truth of our oceans also tell other stories which may not be so appealing. As the environment theme is often included in language programs, it's a great way to (once again) raise awareness among learners about the need to recycle and cut down on the use of plastic in everyday life. 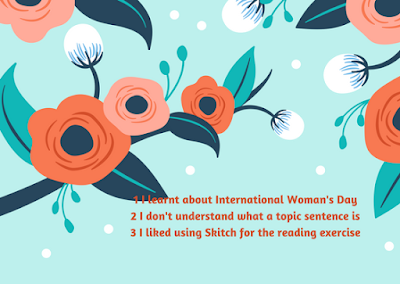 Padlet is a great way for learners to share their ideas (whether text or images) , while Canva offers great graphic designs which students can use to create visuals and share their ideas as well. If learners are not camera shy, then why not create a short video which can then be shared in class and with their families? This involves storyboarding, decision making and working collaboratively while developing their ideas. With all the free apps today, creating a short video has never been simpler.